In this post, I’ll share How to Display Excerpt in WordPress. 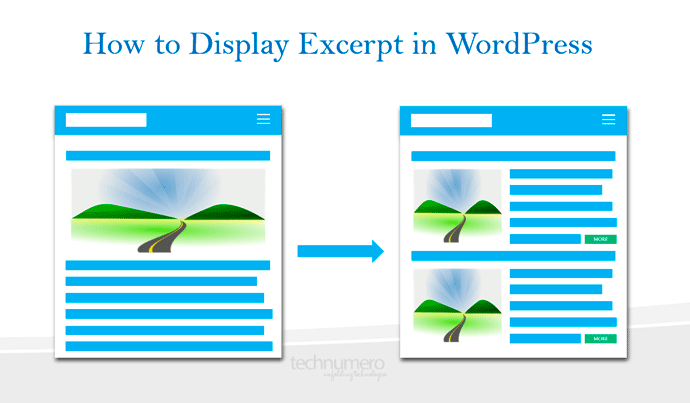 There are numerous ways to display excerpt in WordPress, few pieces of code can do the trick. You can also use custom excerpt option of WordPress to Display Excerpt in WordPress Front Page. 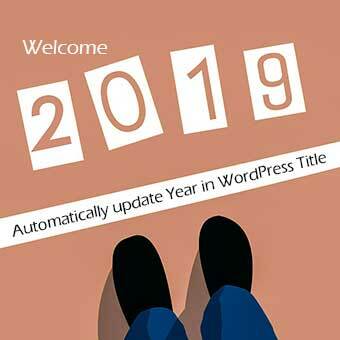 Displaying Excerpt in WordPress post is useful to showcase the summary of your post in 20 to 30 words on the home page of your site or blog. Most of the people use it to encourage readers to read full article. Before digging into the world of scripts and WordPress functions, let’s read what is ‘Excerpt’. By definition, Excerpt is a short extract of an article, or a piece of music or a featured part of a film. In this context Excerpt is a summary of your blog post or a piece of content of your article which you want to highlight. You can also call excerpt a shot description of your inscription. Excerpt comes by default in WordPress as its one of the core function ‘ the_excerpt() ’. When we call excerpt though the_excerpt(), WordPress generates auto excerpts (summary of your post) as raw text within <p></p> tag along with a ‘more’ tag, which looks like this tag ‘ […] ’. Normally excerpts function the_excerpt() used with in the loop file of your theme. Excerpt can be called by adding the below given code just after your post title with in the loop.php file or wherever you want to call it. 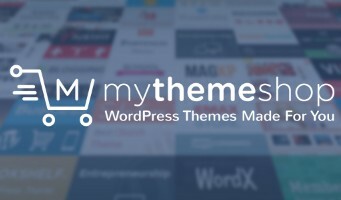 I always recommend to use child theme for editing theme files, here you can read more about it. The default word length of excerpt in WordPress is 55 words and the limit can be changed by using the excerpt_length filter. You can also use get_the_excerpt() function in WordPress to display desired number of characters of excerpt in WordPress. There are may other ways to limit excerpt length in WordPress, here is a complete guide on How to Limit Excerpt Length in WordPress. Now scroll down to find custom excerpt column, where you can write your own content as post summary, which will display excerpt in WordPress front page. Did you find this post useful, share your feedback in the comment section below or let us know if you have any query we’ll be happy to help you. Hi, Good share. It helped me to redesign my front page.